I am usually pretty underwhelmed by digital amp models but this one is pretty decent. I get a lot of really usable tone both clean and over-driven. Not a whole lot to say...a lot of vintage and modern tones in this one. Thanks for the bypass preamp feature! Thank you so much for the most important Feature for real preamp owners which is bypassing the software emulated preamp! I´m sure most guitar players have already a nice sounding real tube preamp or a head with DI out, which they really want to use in every possible situation. I´m a proud owner of a Mesa/Boogie TriAxis and I have all my favorite presets saved there so i can produce each desired sound by just choosing a program - and the sound is real tube blow away analogue sound. But there is one problem when it comes to recording, the power amp section, cabinet and microphones are crucial but impracticable in home recording environment. Thats where amp simulation with bypassed preamp kicks in - a viola! This amp works great. It gets used a lot when I dont feel like micing up a cab, and I never feel the need to replace it later. Only problem is how every preset has the bass Blasted to 10. easy to turn the knob back, but I dont know why they did this. I would recommend this is your looking for a nice sounding amp sim that you will not have to replace later on in the recording process. Cool off function of the amplifier and cabinet. Best emulation today. I'm able to get lots of great tones out of this plugin from clean to crunchy to big and heavy. It plays nicely with real pedals in front of it, too! I've had some good bass tones from from this as well, though I usually need to enhance the low end with a DI mixed in for that to work. Brainworx has done a nice job with the various recording chains. Once you get your head around how they set that up, and how to best audition them, it's really a nice way to work. It's very very good amp plugin !! This is a great amp emulation. If you want a classic guitar amp in the box this is for you, especially for the price! Eccellente simulazione del timbro delle valvole. Calore, grinta negli attacchi,perfetta emulazione dell'ampli originale. Da acquistare ad occhi chiusi. Absolute perfection. Crunchy to clean, the finest amp emu I've put to my eardrums. Also the first non-UA developed plug I've bought for the UAD format, so I was a little skeptical at first....yet they've managed to keep the QC top notch with the outside developers. Love it. I must admit, I was surprised! I've not been a fan of amp sim plug ins, but I thought I'd give this one a shot. Overall, I'm very happy with it and surprised at how good it sounds! I use mostly clean/light break up sounds and this does that very convincingly... well done, all around! The Finest Amp Emulation Ever!!! This plugin sounds so good, so real, and has that *special* feel to it! This is my go-to amp emulation for just about everything, and it's just amazing!!! Super responsive to playing, feels like the real thing. I'm a Fender guy, so I like my guitars mostly clean, but this amp responds so sweetly to dynamics - you have dial in a real clean tone and then strum harder and it's like you stomped on a great distortion pedal. So many of the amps provided by UAD are really distortion-heavy, and if that's your thing, more power to you - but if you want a vintage-sounding amp with a ton of flexibility (the recording chains alone are amazing! ), look no further. Also, as someone who's struggled with wanting to play loud and protect my hearing, this is a perfect solution - I can practice any time day or night with headphones, or I can crank up my monitors and play and get feedback just like in reality! 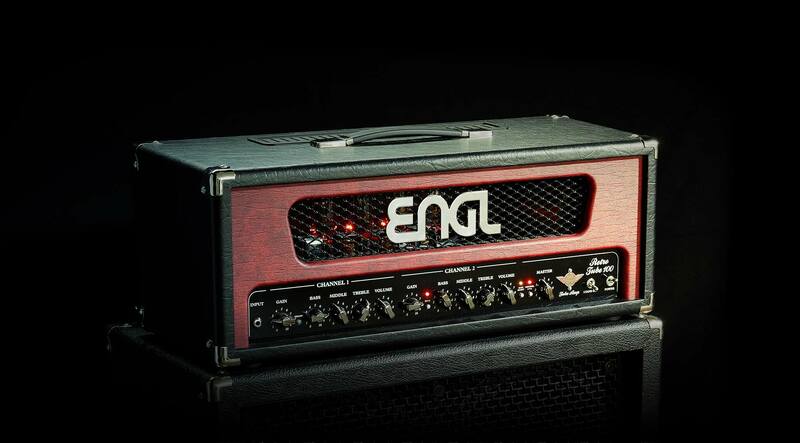 If this suits your style of playing, it's a great amp. I was waiting for more amp sims for UAD. I love the low latency and ease setup. I don't really like the noise gate, but then again, I almost never use a noise gate while playing. The tone is good. The built-in effects are decent as well. For rock or metal, this amp is great. For more classic rock sounding amp, I'd go for the Marshall Plexi, which is one of the best I've ever tried. I used to use guitar sims as a sort of scratch pad, and if the take was good enough, I'd re-amp. Now I'm thinking these sound good enough where the average person probably would notice. I tried the demo but for some reason it kept crashing numerous times my Satellite Quad FW when it was the only plugin running??? Don't why, apart from that awesome sound.